Hello Friends! I've had a very crafty weekend and am super excited that I was able to complete a card for the Our Daily Bread Designs Shining Light Challenge as well as the Cheery Lynn Designs Challenge! For Cheery Lynn Designs this week is Anything Goes. When I saw the inspiration photo, all I could think was roses and the first thing that came to mind was my Lady Rose Designer Paper by KAISERCRAFT. I got all distressed-out with this card! 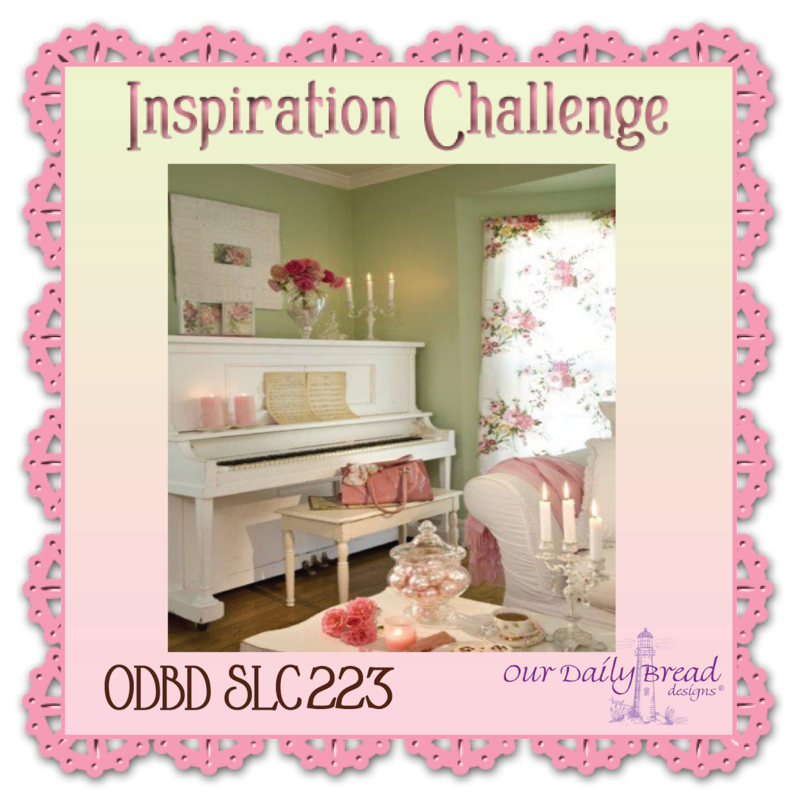 To qualify for the Shining Light challenge I used ODBD Scripture Collection 2. For Cheery Lynn Designs I used Sentiment Tag 1 and Fanciful Flourish. 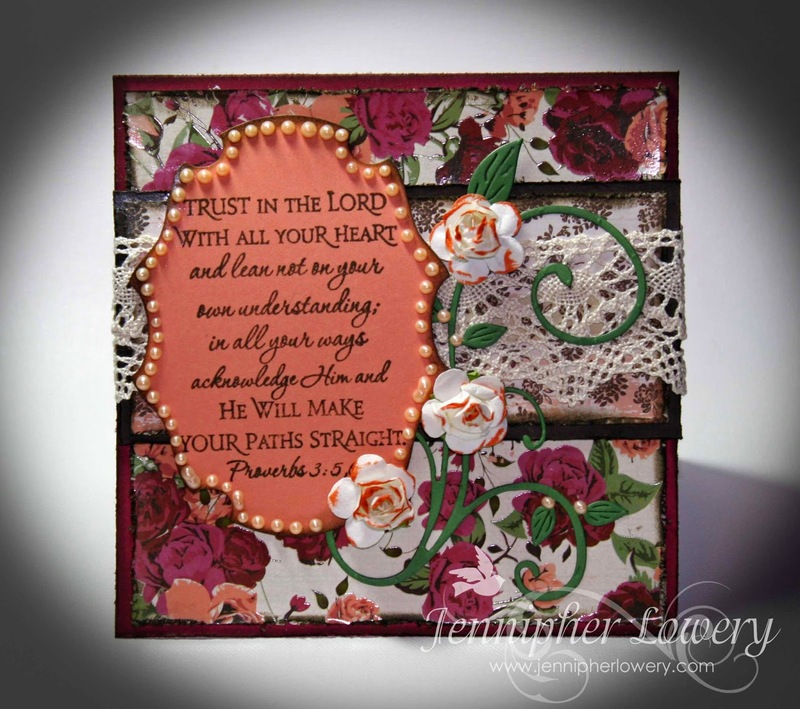 Very lovely and inspirational card, Jennipher, beautiful colors. Good luck and thanks for joining in on the fun at Cheery Lynn Designs challenge. Oh Jennipher, I was so excited to see your card and name in the linky at ODBD!! It has been a while since you joined us!!! I just love the scripture you chose as the focal point!! It is my favorite!! Your colors, the added pearls and your use of layers and details is gorgeous!! Thanks for joining us at ODBD!! I hope you are well and that you can join us again soon!! So beautiful! Love all the floral designs you added. It is like looking at a garden. Something I needed on this gloomy cold wet winter day. I have that swirl leaf die cut too, and love it so much. I use it alot. Hope your doing well, sending a hug. What a pretty card! The texture and different elements you've added look very nice! I'm so glad you joined us this week at ODBD. I hope you can join us again this week. Hugs, Gracie. Gorgeous card, sentiment, and beautiful roses you created! I love this card! Thanks for playing along in the Cheery Lynn Designs challenge and good luck! Such a rich and regal card! I like how you used the sentiment tag on its side! Thank you for joining in on the challenge at Cheery Lynn Designs! What a fabulous card Jennipher! Thanks so much for participating in the Cheery Lynn Designs Challenge this week. I am now your newest follower and would love it if you visited my Make Time To Craft Blog and became a follower too.